This week, we’ll focus on the role that companies play to address pollution, the third biggest threat to biodiversity. This post will also cover the special form of pollution known as climate change. “Pollution” refers to the introduction of contaminants, such as chemicals, light, noise, or heat, into the natural environment where they may cause negative changes. For example, herbicides and pesticides cause harm to nontarget species, such as insect pollinators, and pose a risk to human health. The discharge of detergents, fertilizers, and sewage into aquatic systems can cause an excess of nutrients, such as nitrogen and phosphorus, which disrupt ecosystems by causing the overgrowth and decay of plants, algae, and phytoplankton. The result is a severe decline in water quality and the creation of an aquatic environment that promotes the survival of simple algae and plankton over more complicated plants. Then we have the example of acid rain. The burning of fossil fuels generates air pollutants that can either remain in the air as particle pollutants or fall to the ground in the form of acid rain. The sulfuric- and nitric-acid components of acid rain can lead to the acidification of lakes, streams, and forest soils. Species of fish, amphibians, clams, snails, insects, and plants can have a difficult time surviving in acidic conditions. Fish eggs can’t hatch if the pH of water is too low, and fish species, such as salmon, may abandon their spawning areas. When fewer fish spawn and fewer eggs hatch, it creates fewer food options for predators. Acid rain also harms plants and trees by slowing their growth, damaging their leaves, and making the soil more toxic to plants. The key point is that pollution, in all its forms, can cause serious, widespread harm to wildlife and the ecosystems upon which they depend. Then we have the special form of pollution known as climate change, caused by the release of carbon dioxide and other greenhouse gases into the environment. The biggest human-caused sources of these “greenhouse gases”—particularly carbon dioxide—are a result of burning fossil fuels and cutting down carbon-absorbing forests. Increases in temperature can have a massive impact on wildlife. Some habitats may disappear due to rising sea levels, which are caused by the melting of mountain glaciers and polar ice sheets. Temperature changes have an impact on flowering and fruiting times for plants. They also have a significant impact on the habitat ranges that are occupied by animals. Biologists on the ground are witnessing significant shifts in habitat ranges and species composition in different parts of the world. Some species are showing up in areas where they haven’t been seen previously while other species are starting to disappear from areas where they were once abundant. I recently went to a presentation that showed slide after slide of striking shifts in locations where New Mexico birds have been spotted in the state over the past few decades. For species that can survive in a wide variety of habitat patches, climate change may not pose a major threat. However, species that are isolated in just a few habitat patches or are restricted to mountaintops may not be able to rapidly shift their distribution to survive. Fortunately, pollution is one biodiversity threat that corporations of all shapes and sizes are willing to address, at least to some degree. This is largely due to the thousands of pages of environmental regulations with which corporations must comply to ensure that processes and controls are in place for air emissions, wastewater and stormwater discharge, and hazardous-material transport and storage. However, regulatory pressure isn’t the only reason why corporations pay close attention to pollution. Many of the actions that corporations take to prevent pollution also produce significant cost savings. In addition, the approach that corporations need to take to address pollution include processes and ways of thinking that are familiar to them. When you talk about “minimizing waste” and “improving process efficiency,” you’re speaking the language of business. Waste minimization and process efficiency are topics that already get a lot of attention in corporations through a variety of initiatives, such as Lean, Six Sigma, and quality-management systems. Companies typically adopt one or more of the following five strategies to address the threats of pollution and climate change: pollution prevention, carbon offsets, environmental design, green building, and green infrastructure. Let’s look at each of these strategies in more detail. Strategy #1: Pollution Prevention. Most corporations have a pollution-prevention program or project in place, often using the well-known “reduce, reuse, and recycle” concept. Many of these pollution-prevention efforts are driven by regulations, following specific guidance from various regulatory agencies. Other pollution-prevention initiatives aim to go beyond compliance, driven by a company’s desire to identify cost-saving opportunities that also reduce pollution. Pollution-prevention activities that yield the greatest value for business and the environment will vary, depending on the company, industry, and location, but they typically include a combination of training programs, energy audits, “green IT” practices, transportation and fleet efficiency efforts, and initiatives to reduce food and beverage waste and unnecessary packaging. For example, Walmart created a tool for apparel buyers and sourcing teams to help them optimize the size of corrugated cardboard shipping cartons. As a result, Walmart was able to reduce the number of boxes shipped by 8.1 million in one year, saving 6.3 million pounds of corrugate, 7,800 metric tons of greenhouse gases, and US$ 15.3 million in operational costs. Strategy #2: Carbon Offsets. 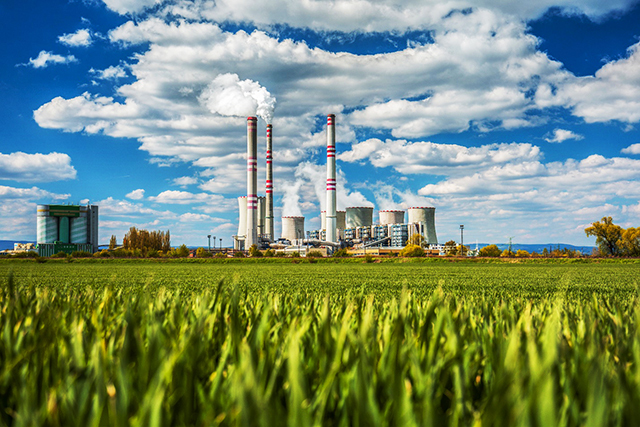 Carbon offsets (also known as “greenhouse-gas offsets”) are a popular tool that corporations use to address climate change, where the company reduces emissions of carbon dioxide or other greenhouse gases in one area to compensate for emissions that are made elsewhere. 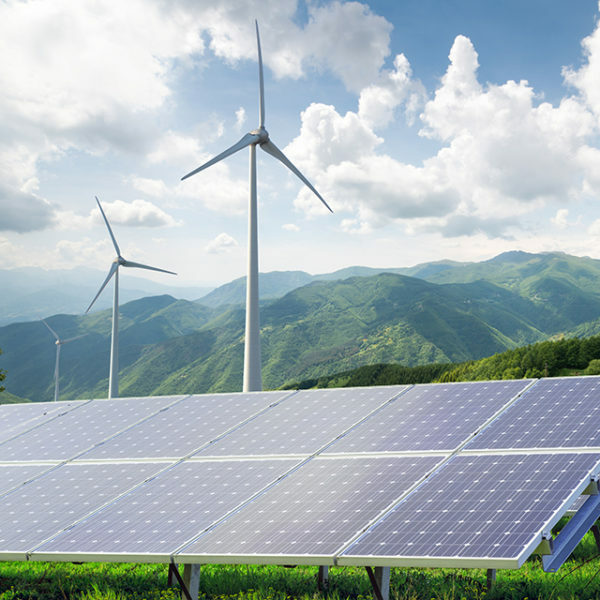 This benefits companies by enabling them to meet regulatory requirements at a significantly lower cost compared with the effort and resources required to directly reduce emissions from operations. As for the benefits of carbon offsets to wildlife and biodiversity, the jury is still out. Strategy #3: Environmental Design. A third powerful corporate strategy for addressing pollution and climate change is to design products, processes, or services in a way that reduces impacts to human health and the environment. This approach is often called Design for the Environment (DfE), and the concept has been around since the early 1990s. Companies like IBM, Hewlett-Packard (HP), and Philips use DfE to identify chemical alternatives that are better for the environment without sacrificing product quality or performance. These companies also look for ways to make it safer and easier to reuse or dispose of products at the end of a product’s useful life. For example, HP’s DfE program identified an opportunity to use recycled plastic instead of virgin plastic for most of its ink cartridges. This enabled HP to reduce greenhouse-gas emissions by 43 million pounds from 2013 to 2015, which is equivalent to taking 4,125 cars off the road for one year. Strategy #4: Green Building. Green building is a well-known, cost-effective, environmental-management strategy that businesses have adopted with enormous success. Its popularity continues to grow thanks to numerous examples of green buildings that have yielded significant reductions in environmental impacts while providing a substantial return on investment. For example, in 2006, Adobe estimated a net-present-value rate of return of nearly 20:1 for the initial investment in its headquarters towers. 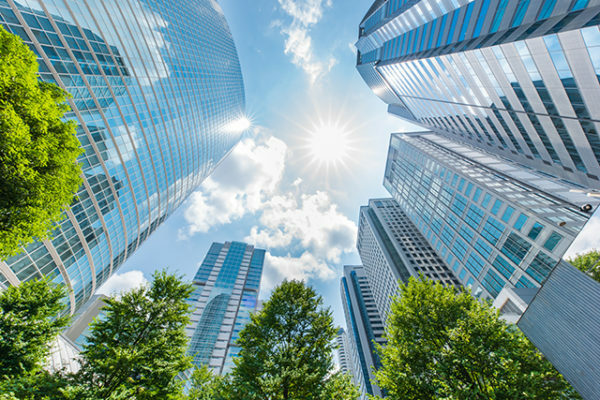 The U.S. Green Building Council estimates that commercial building owners and managers will invest US$ 960 billion globally between 2015 and 2023 on greening their existing buildings. The primary areas of focus are expected to include the installation of more energy-efficient windows, lighting, plumbing fixtures, and heating, ventilation, and air conditioning systems. Strategy #5: Green Infrastructure. Green infrastructure is similar to green building, but it can take some different forms than a building or roof. The term “green infrastructure” is defined differently by various organizations, but it generally refers to natural systems that are managed to address urban challenges, such as stormwater management, climate adaptation, clean water, and healthy soils. For example, Union Carbide Corporation, a subsidiary of The Dow Chemical Company, constructed a 110-acre wetland in Texas to serve the function of a wastewater-treatment facility. The wetland was 100% compliant from day zero with all discharge requirements. In addition, the constructed wetland has low energy, maintenance, and resource requirements with no need for pumps, additives, an oxygen system, or added water, and there are no biosolids to handle or dispose. Compared with a wastewater treatment plant, the wetland supports greater biodiversity of plants, animals, and micro-organisms. From a cost perspective, the US$ 1.4 million initial investment and operational capital pales in comparison to the US$ 40 million price tag for a gray infrastructure alternative. It’s a good example of a win-win, profitable-conservation project. I hope this post gives you a better understanding of how companies can mitigate pollution and climate changes in ways that also benefit biodiversity and wildlife, and can help us get to Half-Earth. In next week’s post, we’ll turn our attention to the final biodiversity threat that we’ll be covering in this series: overharvesting.